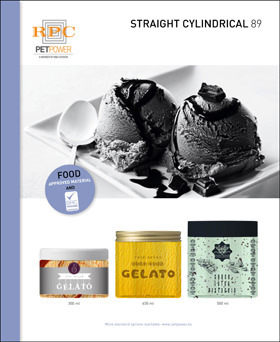 If you are looking for a manufacturer who can supply and manufacture excellent quality ice cream packaging, then take a look at PET Power’s large standard range. At the moment, the Straight Cylindrical ranges are very popular and we increasingly see this model used for ice cream packaging. This specific model is characterised by its smooth lines and is manufactured as standard with a 63/70/89 and 100 mm SP400 neck finish. This makes it easy to combine the container with standard plastic and aluminium closures. 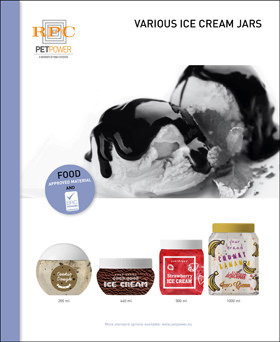 PET Power has several solutions for all ice cream packaging. 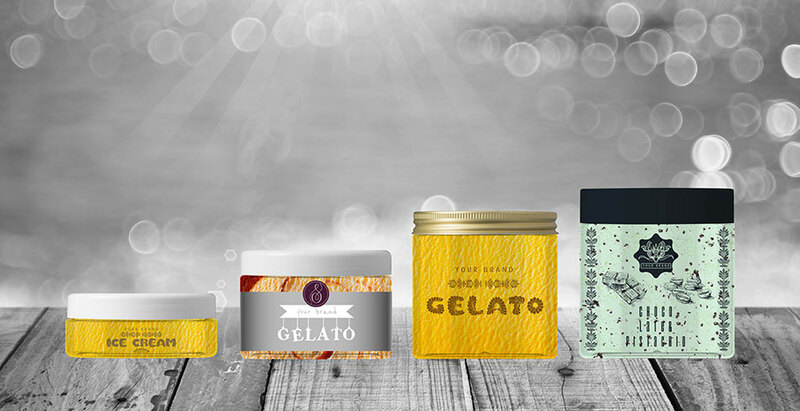 In our configurator, you will find all ice cream packaging per capacity, so you can easily get an idea of what is available to fit your needs. Click here for the configurator. 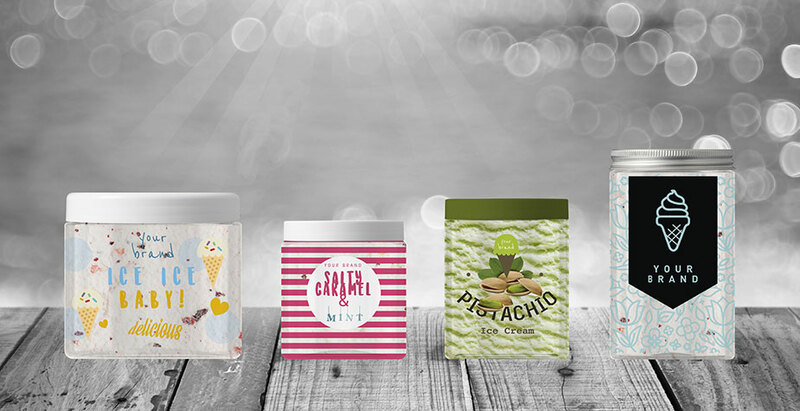 In addition to offering many standard solutions, we also manufacture custom-made ice cream packaging. In the past, cardboard and thermoformed plastic trays dominated the ice cream packaging market. But now, PET packaging material is increasingly being used. 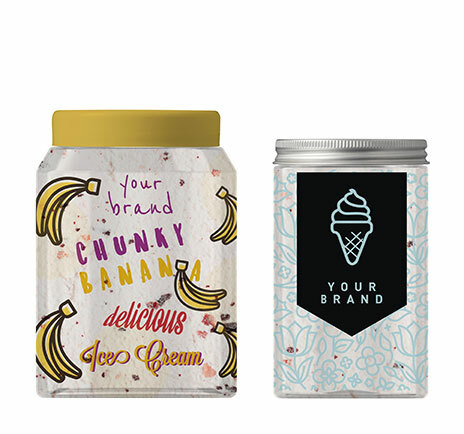 The transparent and glossy look gives the ice cream product a somewhat more appealing look. The straight Cylindrical ranges are easy to fill and empty, thanks to their shape, and can be used down to -20°C. 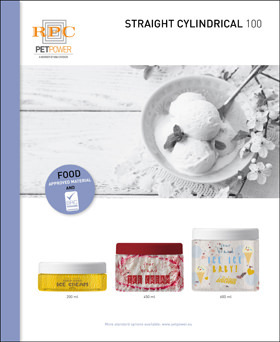 If you would like more information about the advantages of PET as a packaging material for ice cream packaging, please contact us via info@petpower.eu. Your local sales representative will help you with the development of ice packaging. Our specialist will share his thoughts on a functional and matching closure and attractive decoration. We will provide you with a complete, high-quality PET packaging whose look fits your company’s house style. 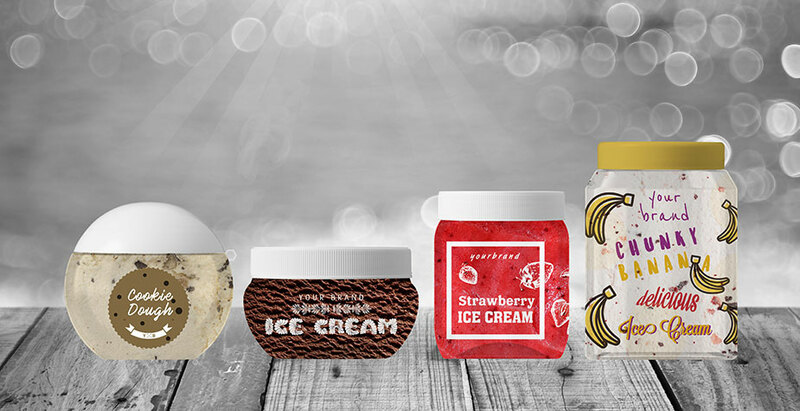 Take a look at all examples of our Straight Cylindrical ranges used for ice cream packaging. 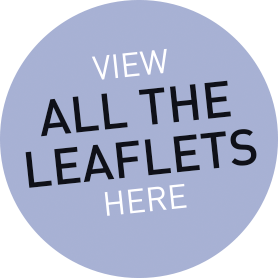 In our knowledge centre you will find several leaflets specifically devoted to ice packaging. Here you can download free information about all Straight Cylindrical ranges and additional services we would like to perform for you. Contact us and we will tell you all about the options.